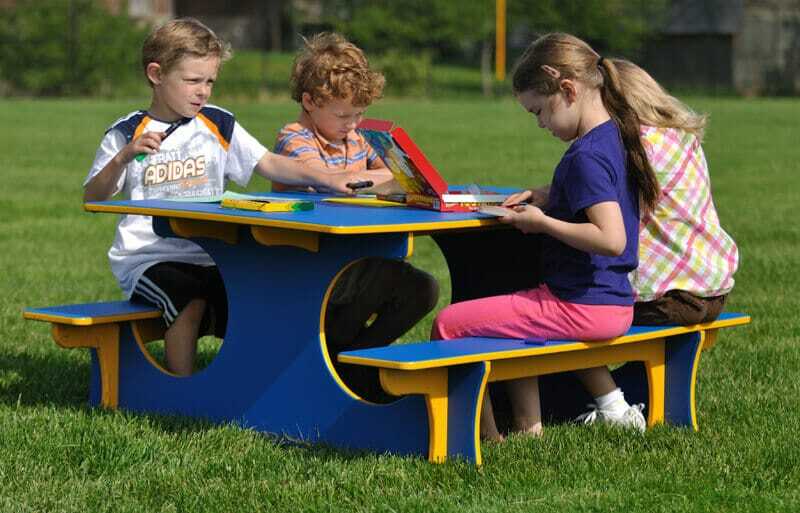 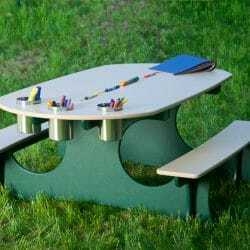 Dine, work, or play on The Adventurous Child Plastic Picnic Table. 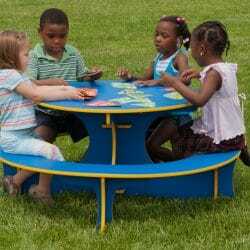 Seating for six allows group work or just a place to hang out with friends. 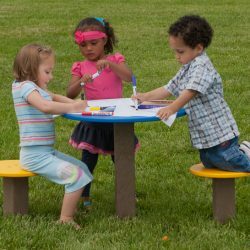 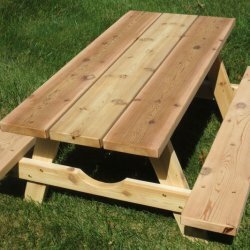 A cedar option is available to fit your outdoor playground aesthetic, and a permanent mount kit that includes two anchors for center of table support, two pieces of hardware, and one bag of concrete is also available.